Coming into the 2015 season, the Miami Marlins were a trendy pick to contend in the National League. While most would agree that the Nationals are the best team in the N.L. 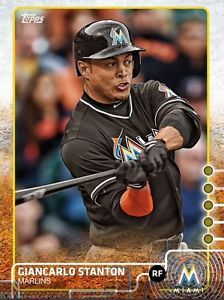 East on paper, there is a lot to like about the team that Miami has assembled around superstar Giancarlo Stanton. However, through the first couple of weeks, the Marlins are struggling badly and have quickly fallen behind the division leading Mets. So what is going wrong in Miami? As would be expected, the 3-10 start for the Marlins can’t be blamed on Stanton. He has hit three homeruns in the early going, and has an OPS above .900. The Marlins made a record-setting investment in their right fielder in the offseason, and his start to the year has done nothing to make them believe that they made a mistake. Given good health, Stanton figures to be one of the best players in the game for many years to come. The starting pitching is a good place to look when trying to pinpoint the Marlins struggles in the first two weeks of the season. Only two starters have recorded a win, and only one has an ERA under 4.50. Walks have been a problem specifically for Tom Koehler and Mat Latos, and Dan Haren has been the lone bright spot among the starters. If the season is going to turn around and head in the direction that many expected, it is going to have to include better performances from the starting staff. Looking down to the bullpen, it is much the same story. With a combined ERA of almost 5.00, the Marlins relief pitching hasn’t been offering much help once the starters are removed from the game. The Marlins offense is not without blame in their poor start either. While Stanton and Dee Gordon have been terrific, a long list of other hitters are struggling to get going in April. Martin Prado, Adeiny Hechavarria, Marcell Ozuna, Ichiro Suzuki, and Christian Yelich are all players with significant playing time and an OPS under .700. Even the power hitting Michael Morse is only checking in with a .710 OPS currently, having already struck out 12 times against just three walks. The two-man game of Gordon and Stanton is going to need some assistance from the rest of the roster if the Marlins are going to dig out of the early hole in the standings that they have created. The biggest single story of the early baseball season has been Chicago Cubs third baseman Kris Bryant. A top prospect and just 23 years old, Bryant certainly appeared to have done enough in spring training to earn a spot on the Cubs roster. However, Chicago chose to have Bryant start the season in the minor leagues, likely to delay the start of his service time for contractual reasons. Whatever the motivation behind his early demotion, Bryant is in the Windy City now and he is likely to make an immediate impact in the Cubs lineup. Having played college baseball at the University of San Diego, the 23-year old Bryant has only played a total of 181 games at the minor league level. While that is a small sample of professional experience, the results have been nothing short of amazing. In those 181 games, he has hit 55 homeruns and driven in 152. He also showed impressive plate discipline, accumulating 99 walks along the way. All of that adds up to a minor league career OPS of 1.092. It doesn’t matter which numbers are used, the minor league career of Kris Bryant has been short but memorable. 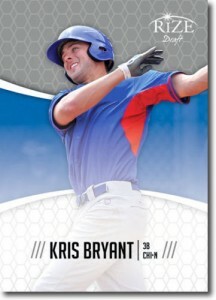 Power is the name of the game for Bryant, even though he sports an impressive .327 career minor league batting average. That power comes from a 6’5’’ frame, and it seems very likely that he will be able to continue producing power numbers even facing the best pitchers in the world at the major league level. Just four games into his major league career at this point, Bryant already has a pair of doubles to his credit, along with four walks and four RBI. Many baseball fans and writers are predicting big things for the Chicago Cubs in coming years, and much of that has to do with the names that now line up across their infield. Anthony Rizzo, Addison Russell, Starlin Castro, and Kris Bryant are currently the starting infielders for the Cubs. Each is young, and each comes with a background as a high-profile prospect. If even three of these players is able to translate into a quality major leaguer, the Cubs will have one of the best infields in baseball. If all four are able to do it, Chicago may just have what it takes to break the longest title drought in sports.